Beauty and the Beast has passed yet another milestone. Disney has become such a dominant force at the box office that they have had to start resorting to beating their own records. But it's a new record nonetheless. Disney's live-action remake of Beauty and the Beast has just become the highest-grossing PG movie at the domestic box office of all time. According to Box Office Mojo, Beauty and the Beast has made $487.59 million playing domestically That just edges out 2016's Finding Dory, which made a truly impressive $486.29 last year. Even though it wasn't originally made by Disney, the next highest-grossing PG movie is Star Wars: The Phantom Menace, which grossed $474.5 million domestically back in 1999. Since Disney now owns Lucasfilm, anything to do with Star Wars lives within the Mouse House, so that movie is now associated with Disney as well. Point being, this record really just means Disney is continuing to make more money. Internationally, Beauty and the Beast is an even bigger success and will probably wind up being one of the highest-grossing movies of 2017 overall. To date, the movie has grossed a grand total of $1.185 billion worldwide. Finding Dory made just a hair over $1 billion last year, so Beauty and the Beast has also been more appealing to audiences worldwide than the Finding Nemo sequel was. As it stands, Beauty and the Beast is the highest-grossing movie of the year, but The Fate of the Furious is closing in quickly, with $1.158 billion already in box office receipts. It should wind up overtaking Beauty and the Beast by the time all is said and done. Disney has truly mastered the art of appealing to the masses in recent years, and a lot of that has come from their PG offerings. Not only have Finding Dory and Beauty and the Beast dominated over the last couple of years, but several other of the studio's PG movies have also done very well. Alice in Wonderland ($1.025 billion), Zootopia ($1.023 billion), Inside Out ($857 million), The Jungle Book ($966.5 million) and Frozen ($1.27 billion) have all been huge box office successes in the current decade. With sequels in the works for a few of those titles, as well as plenty of other live-action remakes, this trend of Disney making PG-rated Box Office record-breakers will probably continue for the foreseeable future. The original animated Beauty and the Beast was a big success in its own right, having grossed $424.9 million worldwide. Though, it was rated G. Outside of that, the movie was a major critical success, becoming the first animated movie to ever be nominated for Best Picture at the Academy Awards. Though this live-action remake hasn't been received quite as well critically, it was received mostly positively by critics and audiences, which has helped push it to such great success financially. And the inclusion of Disney's first gay character in a fairytale movie didn't hurt things one bit. 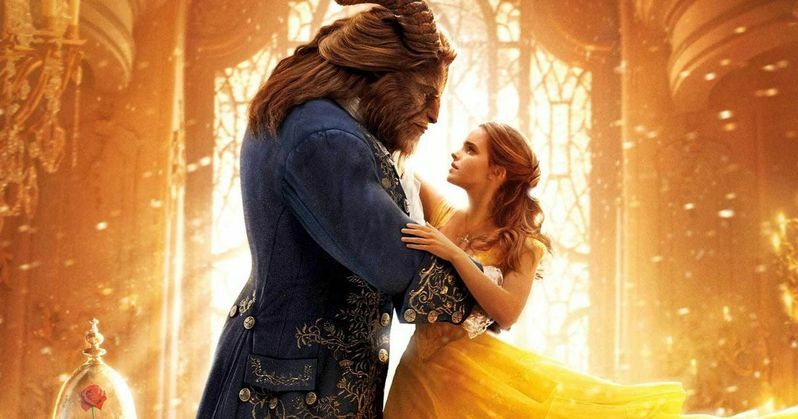 While Beaty and the Beast 2 is off the table, Disney may be planning a series of spin-offs from the blockbuster.